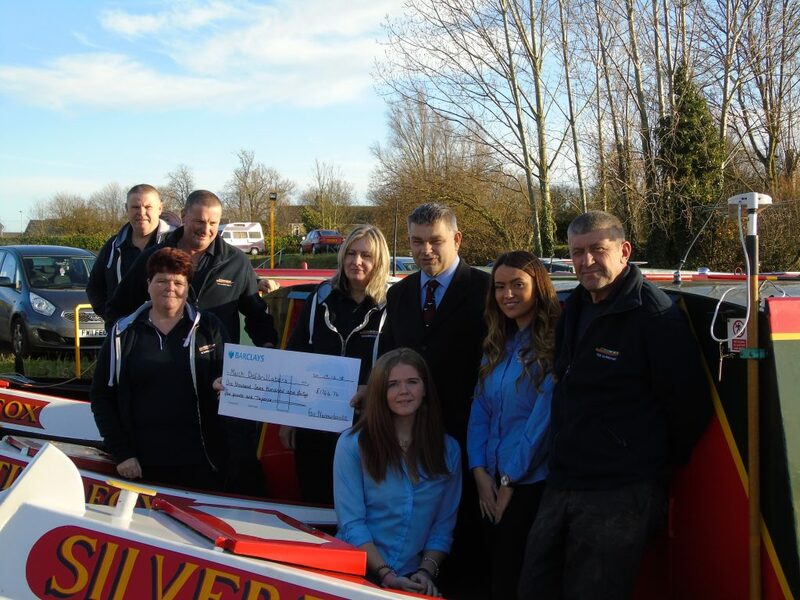 Fox Narrowboats | £1744.76 donation to March Defibrillators! Home › Blog › £1744.76 donation to March Defibrillators! Following another successful fundraising year the staff and customers at Fox Narrowboats have raised £1744.76 for March Defibrillators during their Charity of the Year events. 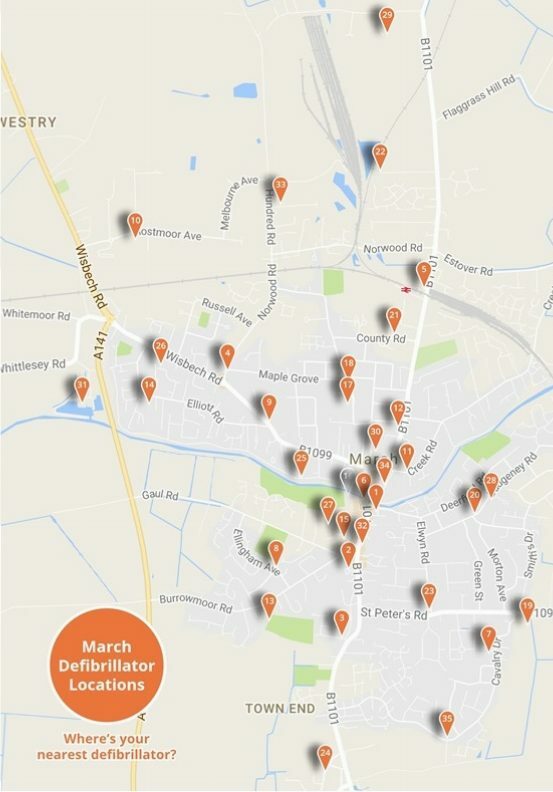 March and the surrounding area has 35 defibrillators following a campaign started by March Councillor Rob Skoulding. The cheque was presented by Fox Narrowboats Finance Director Tracey Baxter who said “I am always astounded at the generosity of the staff and public who support our charity events. March Defibrillators is a worth while organisation and has provided the potential to save so many local lives.” Events and activities this year have included a refreshment stall at the company open day, boat trips at March town St George’s Fayre, evening boat trips, a second hand book stall and Christmas tombola. This is the 6th year the company has selected a charity of the year and since the inception has raised a total of over £12,225 for good causes. In 2019 the company will be supporting The Ladybird Boat Trust. The Ladybird Boat Trust (LBT) was set up in 2013 and is based at Hartford Marina near Huntingdon. The vessel Ladybird is wheelchair accessible and accommodates up to 20 passengers in a large heated cabin complete with kitchen and wheelchair accessible toilet facilities. The open foredeck area enables passengers to enjoy to the full the magnificent scenery and wildlife on the river. The service operates from mid April to early October and is crewed by a Boatmaster and trained crew, all of whom are volunteers who give up their time and skills to run over 100 trips each year. A typical trip is between 10am and 3pm, and is either upstream towards Godmanchester and Brampton, or down to the Hemingfords and St Ives. Trips are open to groups of the disadvantaged or disabled, young or elderly (and their carers) based within reasonable road travel distance from their base on the Great Ouse near Huntingdon, Cambridgeshire. Many groups return year after year and the annual boat trip is a highlight in their year. Events for 2019 will again included boat trips at the March Town St Georges Fayre.